There are risks involved with owning a clothes shop, so make sure that you have the level of cover that you and your business needs. Cover your clothes shop with specialist insurance to ensure that you protect your business to the full. Wherever the location of the shop it's essential to insure yourself against any potential threats that may hit the business and cause financial loss. In the fashion industry any level of destruction to stock or premises can hinder business and put you and the company in a less than desirable situation, insuring your business can help to contain the damage which may otherwise be overwhelming. There are a great panel of insurers all after your business, who will try to accommodate all your needs. By asking for a quote you will not only get great quotations from a range of insurers and brokers, but also benefit from their vast knowledge of insuring clothes shops. Fill in our simple form to get good value deals. If you have any problems, don't hesitate to contact us and we will get on the case immediately. When you are looking to insure your clothes shop you will be presented with a multitude of choices. Whilst most standard policies will cover you for your and your employees' protection and for your equipment and stock, it is also very much worth considering insurance against malicious fires, broken glass and flooding amongst other risks. Here are some of the policies which are fairly essential for those with clothes shops. General Liability Insurance - if a member of the public comes into your clothes shop and happens to fall over, you could be facing a hefty lawsuit. Prepare your business against the possibility of such lawsuits by purchasing insurance. Commercial Property Insurance - this protects you against losses to company property, including buildings and inventory. It insures against damages through smoke, water or fire plus more. Employees Liability Insurance - within the UK this cover is a legal requirement. Should any incidents or accidents occur involving employees, you will be protected against claims from them alleging you have been negligent. Business Interruption Insurance - this insurance is well worth considering. Should an incident occur it could save you a great deal of money! It insures a business in the event that an element of the business, such as specialist equipment or premises, become temporarily unsuitable to use. This specialist insurance provides the owner with the income they would have received had the incident not occurred and therefore the business would have stayed open. Theft Insurance - this one may seem obvious but it may surprise you that a lot of clothes shops do not have this insurance! Theft is particularly common within the fashion industry due to the nature of the products being sold and how easily concealed they are. Protect yourself against large losses through theft. 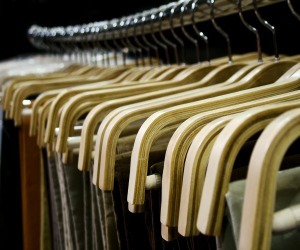 A few minutes thought before committing yourself to a clothes shop insurance policy can significantly reduce your stress levels at a later date should an incident occur, and you be left unsure as to whether you are fully insured or not.